Home is like a little world for each individual. And an individual will do anything in his power to make his place for him and his love ones safe, secure, comfortable and energy efficient. With that in mind we are providing personalized home automation solutions under our well established brand name smarti. Our solutions can be implemented in any project imaginable, featuring our adaptability tailored to every costumers’ wishes and requirements. We are using our specially engineered hardware including smarti TCP/IP relay boxes, smarti TCP/IP dimmer boxes, wall mounted touch screens, smarti PLC controllers etc. combined with in house developed custom software interface solution. 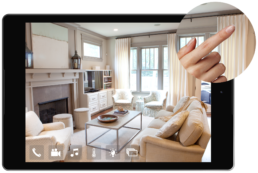 Our home automation software is designed to be extremely intuitive and user friendly so literally everybody can use it, while at the same time offering all of its unique features. The solution is based on real life images, where you can control every function only by touching it on the image. Whenever you will manage functions the state of changed functions will be shown. So for example if you dim the lights on 70%, lights on the interface will be dimmed and so it goes for the other functions. It is also supported for both smart phone and tablet controllers, making it accessible from anywhere in the world, right to the comfort of your living room. It is simple, just touch the light on your real life image of a space and turn it on and off. You can also dim them by simply adjusting the brightness on your interface. That way the ambient will suit your wishes and energy savings will drastically increase. As simple as it is with light control, same goes with curtain control. Manage your curtains or shades as you wish, just drag them to the position you want them to be. Your inner climate in the home can be controlled in several different ways. The temperature can be adjusted with the fan, air conditioning, humidifier, as well as with any other of your heating or cooling systems. 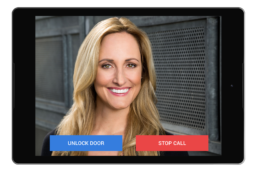 Having a smart doorbell with video option is a smart idea. You can see who is standing in front of your door right from your interface. You can also communicate with them from anywhere you are. With smarti we believe we must provide you with even more comfort. 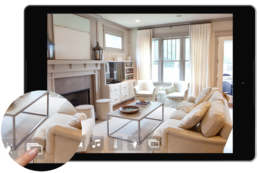 That is why we have also included different scenario selections for our home automation solution. 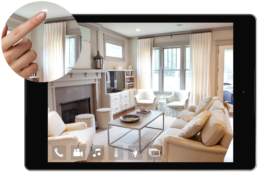 Scenarios are single touch settings that set multiple functions at once and create a perfect scene for you. A scenario has got predefined settings for lights, curtains, temperature, music, or whatever you choose. You can select and customize the functions yourself, to achieve the perfect ambient that suits your needs. 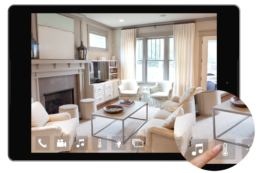 Our advanced and personalized home automation solution can also be used with all smart phones. Observe what is happening even when you are not around and be insured. Our system is also connected to the alarm, so you definitely do not have to worry. Detection of any unwanted movement is an essential part of any security solution. smarti multi room audio system will bring music to your life. Whether you are having a party or you just want to spend a day listening to relaxing music our solution will take care of you. It is truly an investment into the fully integrated entertainment center system that comes fully loaded. Only one smarti entertainment media center is needed for the entire home. 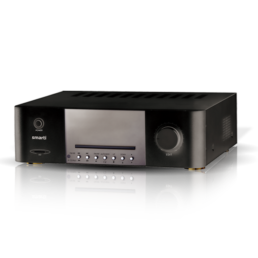 smarti’s own audio multi room system also in physical form. Each room operates as an individual zone and therefore supports specific settings separated from the other rooms. Listen to any radio available on the internet and store your favorites. Streaming music from Apple devices to smarti media system. Great feature to keep the entire media library at hand. When you receive a phone call, the media will stop and the notification will alert you of upcoming calls. We can provide speakers that are almost invisible and at the same time very powerful with the highest quality of sound.